EVALUATE -> ANALYZE -> ELEVATE! CalGE assists private higher-ed institutions and K-12 schools to develop and execute strategies to enhance global recruitment, attract investment, and develop international partnership. CalGE evaluates and analyzes operations and programs, then match strategies, solutions, processes and systems to the needs of universities, colleges, college preparatory, elementary, faith-based, fine arts, special needs, Montessori, Waldorf, immersion, private schools of all sizes in small and large communities throughout the United States and North America. Our advising team is lead by Dr. Eric Tao and many outstanding executives in education management and financing. Our team has years of experience in higher education development, investment and accreditation. Many advisors are also well connected to international recruitment, venture capital firms and silicon valley industries. 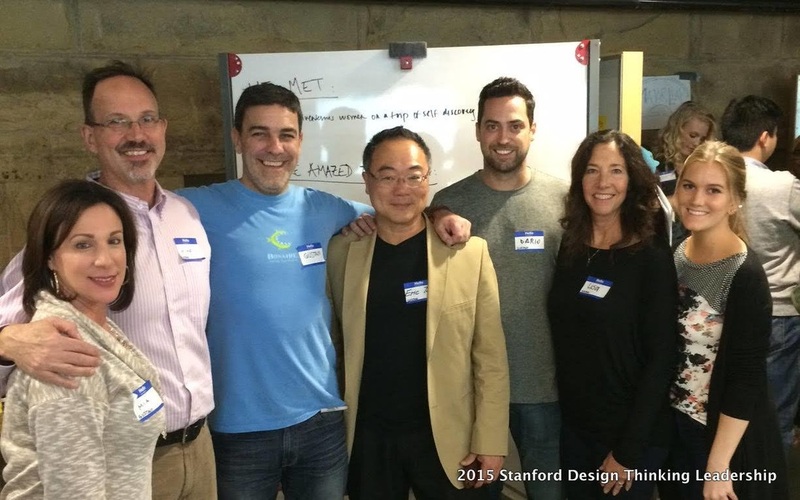 Photo on the left - Dr. Tao lead a design thinking workshop at Stanford University for innovative solutions in education.